2 tbsp cornstarch diluted in 3 tbsp water. 1 The steps may be a bit challenging but we assure you, it’s worth the wait. Begin by getting a shallow pan and fill it with about 3-4 cups cooking oil. 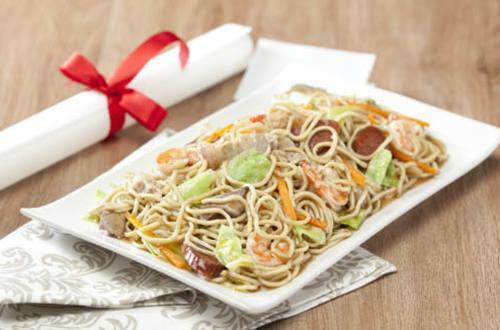 Deep fry the Pancit Canton noodles and then place on a plate lined with paper towels to drain off excess oil. Then, transfer to a nice serving plate. 2 Now, dissolve Knorr Chicken Cube in two cups water then set aside.